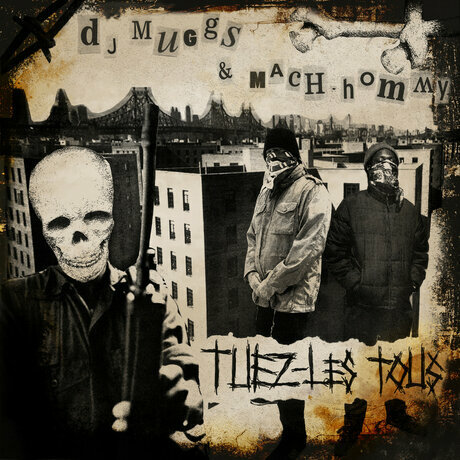 Veteran Hip-Hop producer DJ Muggs recently teamed up with the enigmatic Mach-Hommy for a dope collaboration of dark, and grimy, tracks that continue the Soul Assassins general’s reign as one of the undergrounds illest beat makers and also help bring Hommy’s name into the conversations of people who may have never even heard of him!!! While fans of Hommy may find the legendary Cypress Hill producers instrumentals a bit more hard hitting than Hommy’s usual production choices (e.g. – Earl Sweatshirt) this makes for a perfect match on what is potentially Mach-Hommy’s biggest release to date!!! Also guest spots from the likes of Your Old Droog, Tha God Fahim and Mayhem Lauren certainly don’t hurt either!! !